Hiring a photo booth or magic mirror in Rotherham would make the perfect addition to your wedding, party, prom, children’s party or corporate event. We believe in providing the best possible service at a competitive price. We also cover North, West and East Yorkshire as well as North Lincolnshire and Lancashire. Like the photo booths and magic mirrors, proms have been imported from America and now a yearly glizty event for schools and colleges. Why not hire a photo booth or magic mirror for your Rotherham Prom Event, with standing or seated Photo Booths available you’re sure to find the perfect package. For further details of our Prom Photo Booth Hire in Rotherham visit our Photo booth hire webpage or for Prom Magic Mirror Hire in Rotherham visit our Magic mirror hire page. 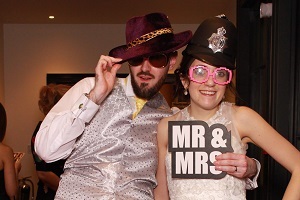 For further details of our Wedding Photo Booth Hire in Rotherham visit our Photo booth hire webpage or for Wedding Magic Mirror Hire in Rotherham visit our Magic mirror hire page. For further details of our Party Photo Booth Hire in Rotherham visit our Photo booth hire webpage or for Party Magic Mirror Hire in Rotherham visit our Magic mirror hire page.